There is also a gear guide, practice tracks, drum loops and tips from some of the world's best known worship leaders and bassists including Chris Tomlin's bass player Jesse Reeves. Songs featured on this course include Holy Holy, Hungry, Majesty, Your Love is Amazing, Consuming Fire, Praise to the Lord the Almighty, Here I am to Worship and You Never Let Go. 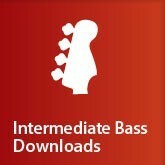 This course covers a years' worth of worship focused lessons in 11 downloadable segments which make up the full Intermediate Bass series. 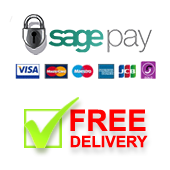 Buy all 11 Intermediate Bass lessons at the same time and a 25% discount will be applied at the checkout. For further information on the ful Intermediate Worship Bass Course please click through to the descriptions on the DVD product. The trailer above features both the Beginners and Intermediate Worship Bass courses.